Building timber frame masterpieces for over 25 years. Cornerstone Timberframes is a second generation family run business with over 25 years of experience building strong, beautiful timber frame homes, cottages, commercial and landscape structures. Cornerstone produces hand cut timber frames of exceptional quality, and raising projects across Canada, and the United States. 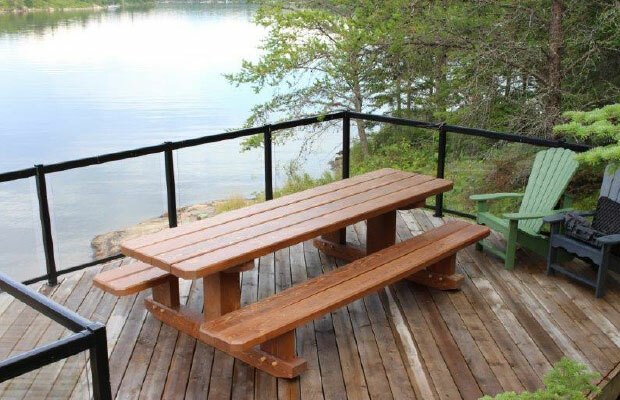 Enter to win a hand-crafted, solid wood picnic table here. HANDCRAFTED DOUGLAS FIR, VALUED AT OVER $3000.00. *Shipping and/or delivery fees are not included. Contest is open to Facebook and Instagram and a winner will be chosen at random on April 1st, 2019. The winner will be contacted via email to claim their prize. Learn more about the Cornerstone Advantage here. Contact Us to receive a free copy of our 2019 Cornerstone Timberframe look book.